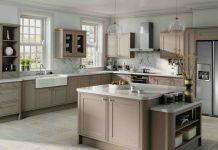 Remodeling has become a great American pastime, with the average family spending a great deal of time upgrading their existing homes, whether in part or as a whole. But tearing out perfectly usable albeit ugly fixtures and finishes and throwing them into the landfill wastes resources and energy, can cause eco problems. 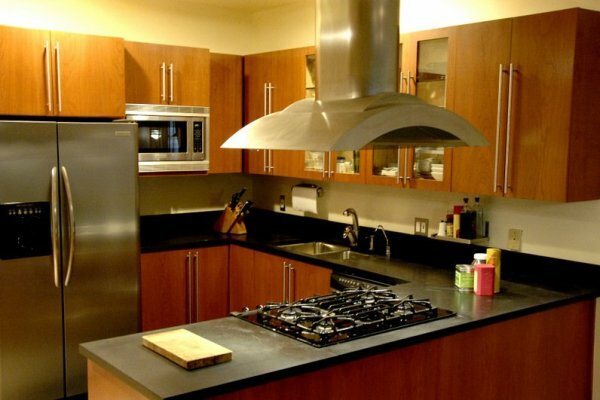 To further compound the problem, many choose countertops that are made from virgin materials that are not earth-friendly and may contribute to indoor air pollution. 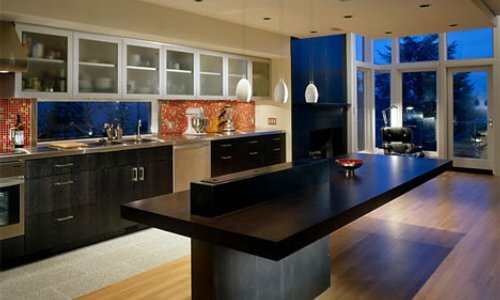 To avoid these eco-problems in your own home, consider some eco-friendly countertop options, and remember, even if you do tear out your existing countertop, donate it to your local Habitat for Humanity ReStore so that it doesn’t end up as a wasted opportunity. 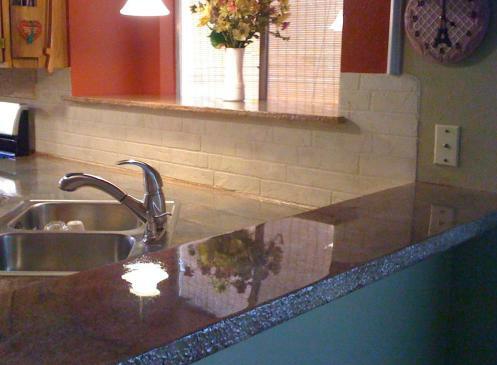 Add sparkling beauty to your home with EnviroSLAB by EnviroGLAS. 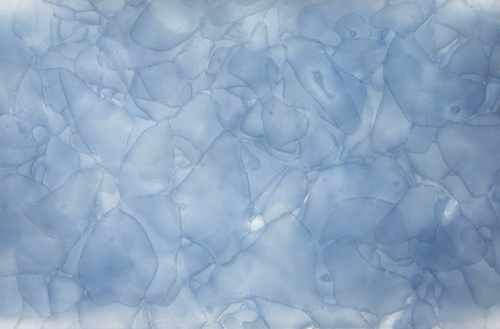 This terrazzo surface is made of 100% recycled glass chips embedded in concrete or epoxy resin, with customizable colors and finishes. 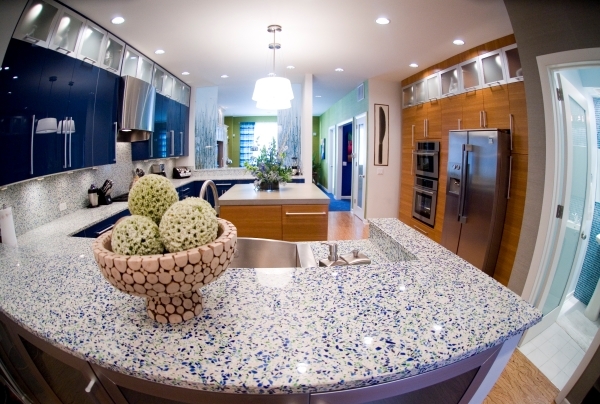 Other makers of recycled glass countertops include Gilasi, Vetrazzo, and IceStone. 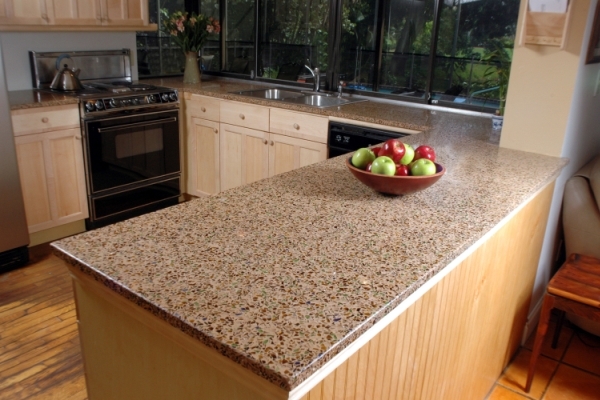 Another FSC-certified option with a very different look is Richlite FSC, which is a recycled paper-composite countertop surface. 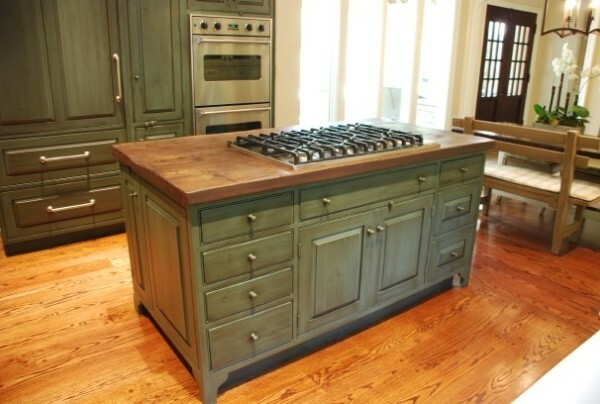 With a matte finish, these countertops are stain and heat resistant, and nonporous (so stain resistant, too). 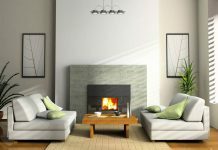 It is GREENGUARD certified so it also is free of VOCs that would pollute your indoor air. 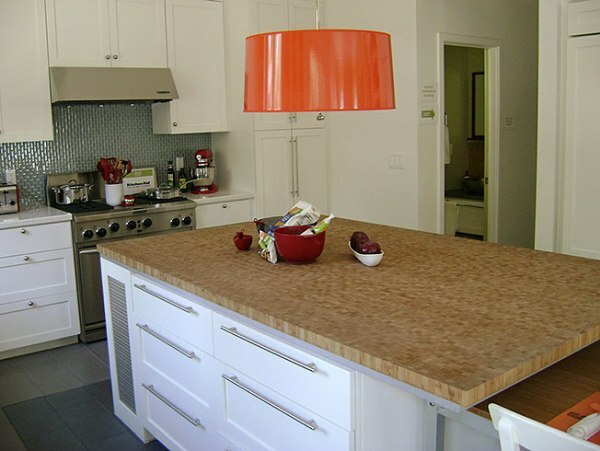 Another recycled-paper countertop option is PaperStone. 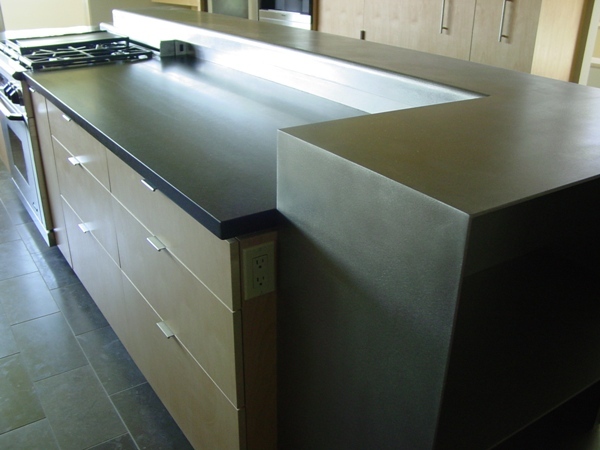 In another take on recycled aluminum, Alkemi countertops are made from post-industrial milling aluminum scrap waste (60% by volume or 34% by weight), which would otherwise be burned and thereby create heavy smoke pollutants. 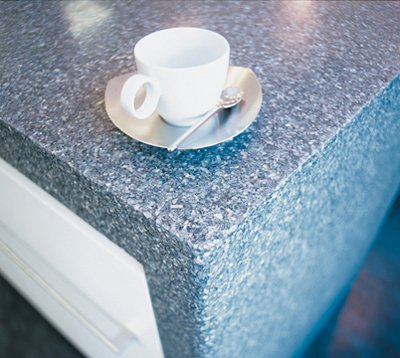 You can choose either a textured, classic, honed finish or various colors. 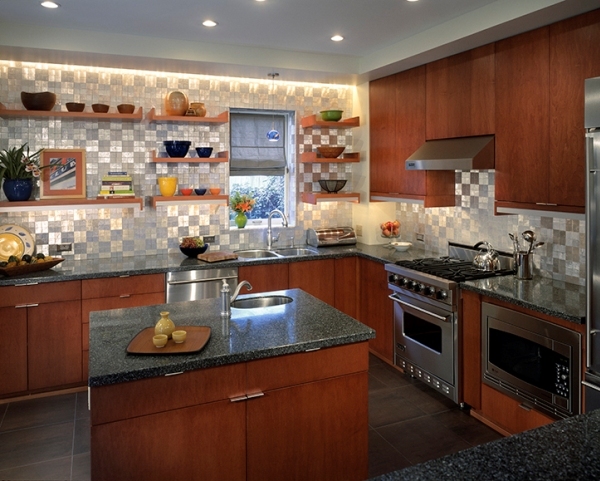 You’ll earn LEED credits, as well. BIOGLASS by Coverings Etc. 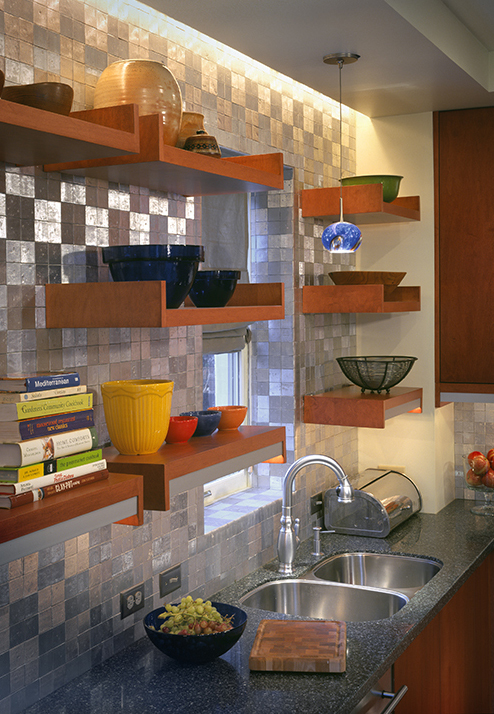 is made of 100% recycled and recyclable glass. 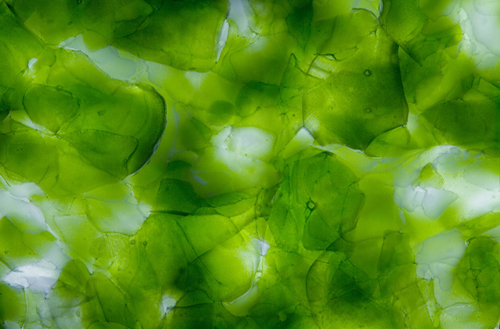 It has achieved Cradle to Cradle Silver Certification and comes in six natural colors, including Aquamarine, Emerald Forest, Fossil Amber, Malachite (shown here), Oriental Jade, and White Diamond. 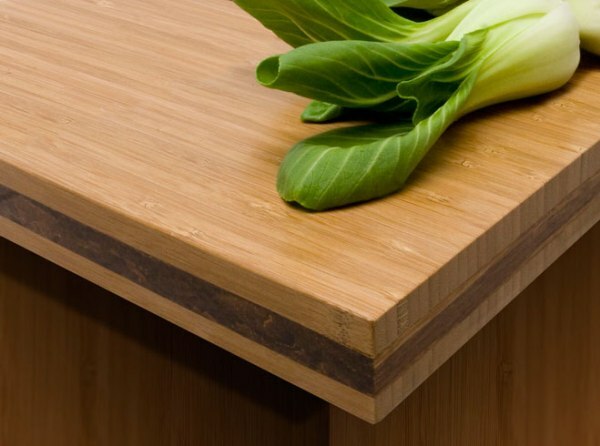 Another wood-type countertop surface option is bamboo. 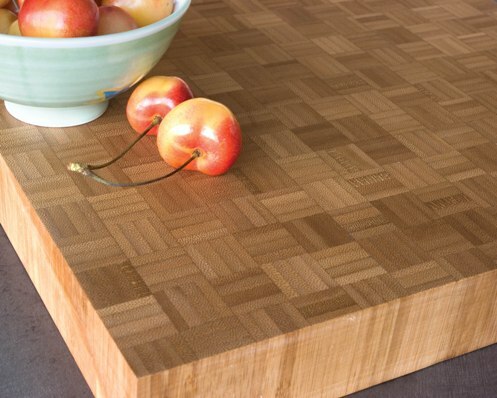 Teragren makes many beautiful bamboo countertops that are FSC-certified and will earn you LEED credits, too, including bamboo parquet (shown here), traditional bamboo, and strand bamboo. 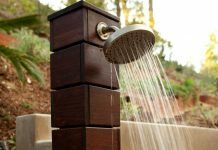 Choose the texture that matches your interior design and take advantage of the other bamboo benefits, including its ability to naturally resist bacteria. 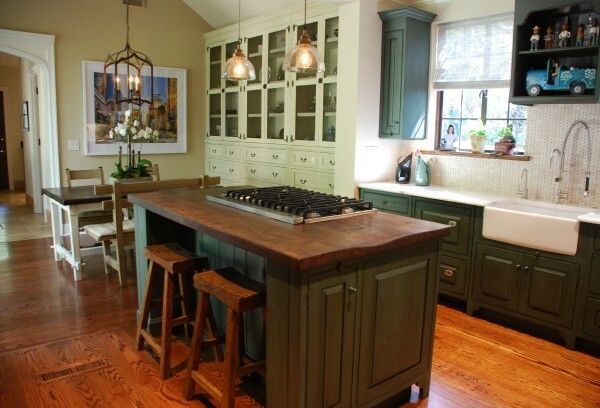 If you prefer a more rugged look for your kitchen or bathroom, then you may want to look into a reclaimed wood countertop, made from recycled woods. 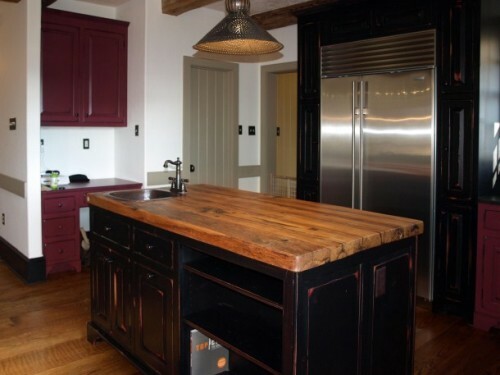 Antique Woodworks makes a wide array of countertops out of old wine barrels, barn boards, hand-hewn beams, and more, finishing them with linseed oil and other non-toxic finishes. 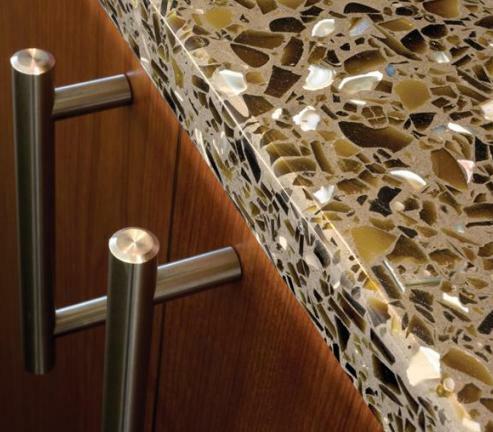 Using a variety of raw materials, including recycled porcelain, mirror, glass, stone scraps, and corn, ECO by Consentino countertops are a great green countertop alternatives with recycled content around 75%. Comes in a variety of colors and styles. 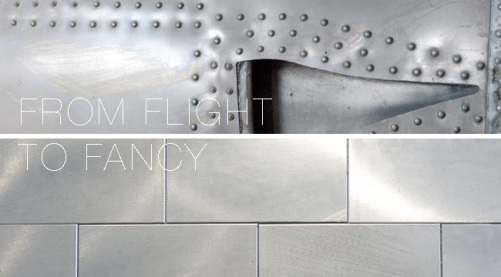 If you fancy some shine in your kitchen, try out BIO-LUMINUM, which is made from 100% post-consumer recycled aluminum from reclaimed aircraft parts. 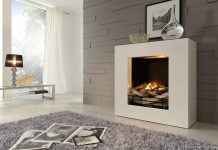 It is also 100% recyclable, making it sustainable from start to finish. 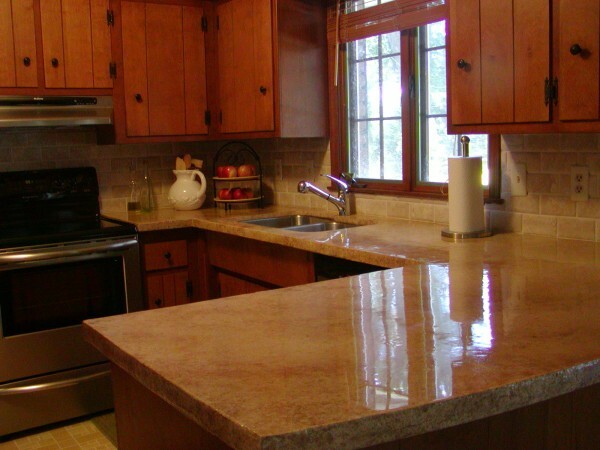 Rather than tearing out your existing countertop and adding trash to the local landfill, resurface your countertop with something like Granicrete. 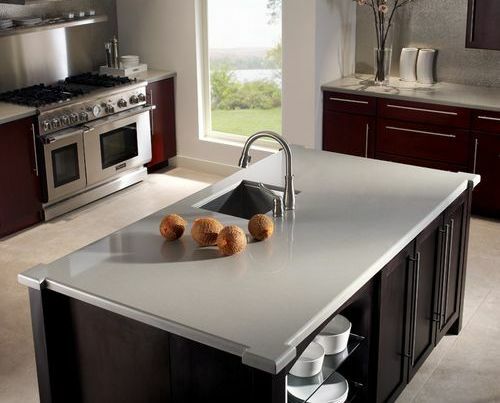 It’s a nonporous surface that is applied directly to existing surfaces, and is available in granite, marble, or high-end stone finishes for much less than solid surface kitchen countertops. They’re also scratch resistant, heat resistant, and easy to care for, so they’ll have a long life, further reducing waste.